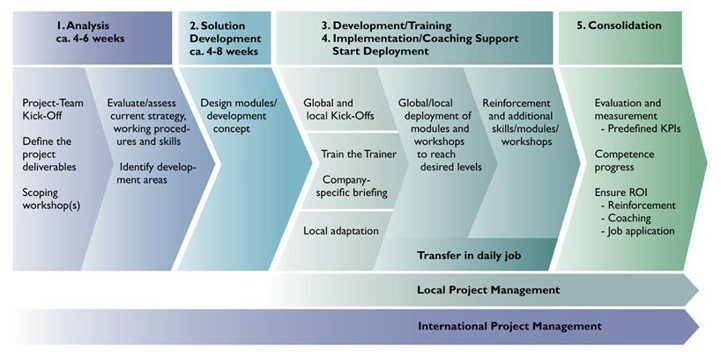 Effective, harmonised international projects are not just a sequence of standardised seminars in different languages. The specific selling situation/strategy and possible different local performance levels must be considered. Gaining local support and commitment is critical to success. To achieve this, subsidiaries must be involved step by step. Finally, structured project management and communication will be vital to secure the deployment of the harmonised approach, implementation and results. Shireen Parker, International Business coordinator at +44 1981 550 447 shireen-parker@mercuri.co.uk.